Vichy Dercos Aminexil Pro come in a box offering 21 vials. Each of them has a small applicator. The product has been already appreciated by many women who had been struggling with thinning, weak hair, lacking density and volume. Vichy labs have created an exceptional molecule that is supposed to penetrate the bulbs and rebuild them so that hair can grow healthy, strong and resistant to damage. Aminexil is another ingredient of Vichy Dercos. It aims to keep a proper level of collagen inside your hair. It also makes sure the collagen coat (surrounding hair bulbs) is neither too weak nor too stiff. The ampoules are composed of a famous Vichy thermal water – the source of 15 rare minerals. 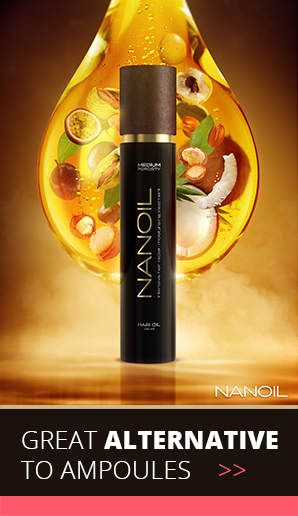 It provides your hair and scalp with many essential ingredients that have a direct impact on a healthy hair growth. Vichy thermal water contained in Dercos Aminexi Pro also takes good care of your scalp, soothing irritations, controlling sebum secretion and slowing down ageing processes. Dercos Aminexi Pro ampoules are dedicated for all women who struggle with thinning hair. The treatment consists of 21 vials. You can use them every day for three weeks or – if your hair is not damaged and over-processed – three times a week. The producer recommends a 21-day treatment (with daily application) or a 6-week treatment if you use it less often. You attach an applicator to a vial. You start applying the ampoule at the roots. The round end of the applicator is supposed to make the massage of the scalp easier. The massage is a great idea because it stimulates blood flow and facilitates the absorption of active ingredients. 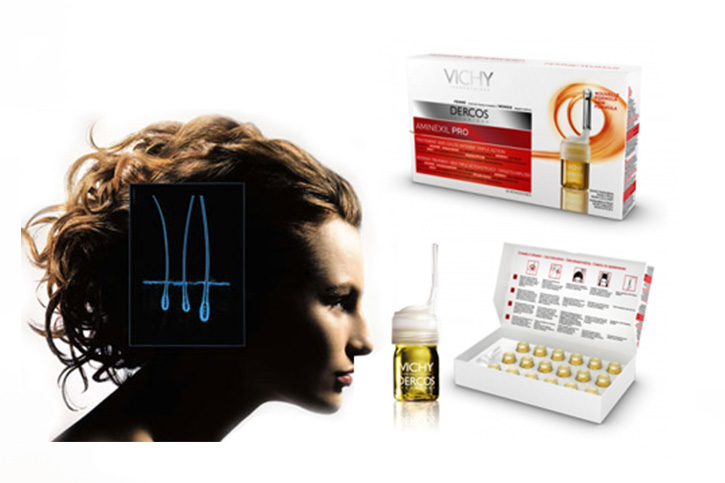 Vichy Dercos stops hair loss and stimulates hair bulbs to work. As a result, you will see hair growth after 6 weeks of the treatment. Your hairdo gains shine and volume. The effects last long after the treatment yet you must be patient to see them. Vichy Dercos ampoules are tried and tested products, appreciated by many women. If falling out and weak hair is the only problem you are facing, go for Vichy treatment. 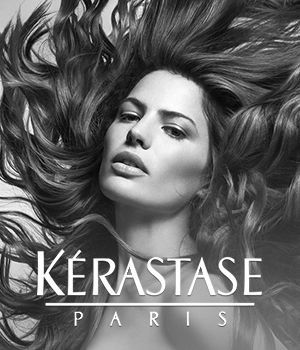 You will enjoy strong and healthy hair after six weeks. A large number of ampoules and special applicators are advantageous. Olivia Garden Finger Brush. Is it going replace Tangle Teezer?